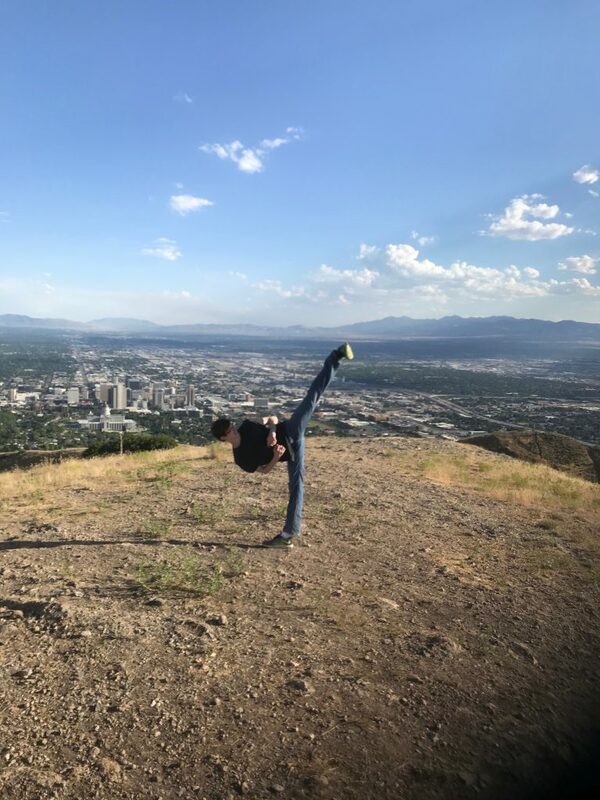 An impressive group of Kim’s Academy students travelled to Utah this month to test their skills at the 2018 USA Taekwondo National Championships. Thank you to everyone who has encouraged and supported these students and their families! Special thanks to coaches and parents for all of the time, hard work, and resources that go into getting to Nationals. Congratulations, students! You make us proud! Isabella Burdick placed 3rd in breaking! 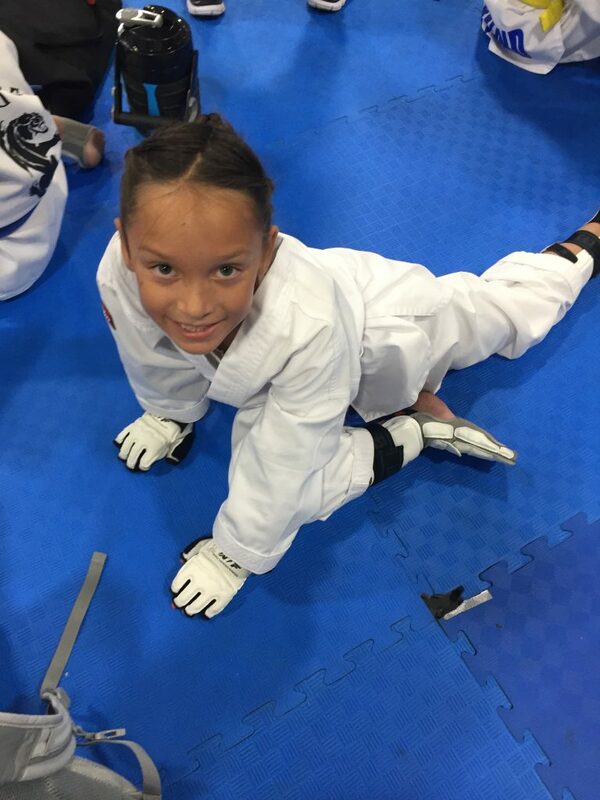 She made it to finals in forms, and also competed in sparring. 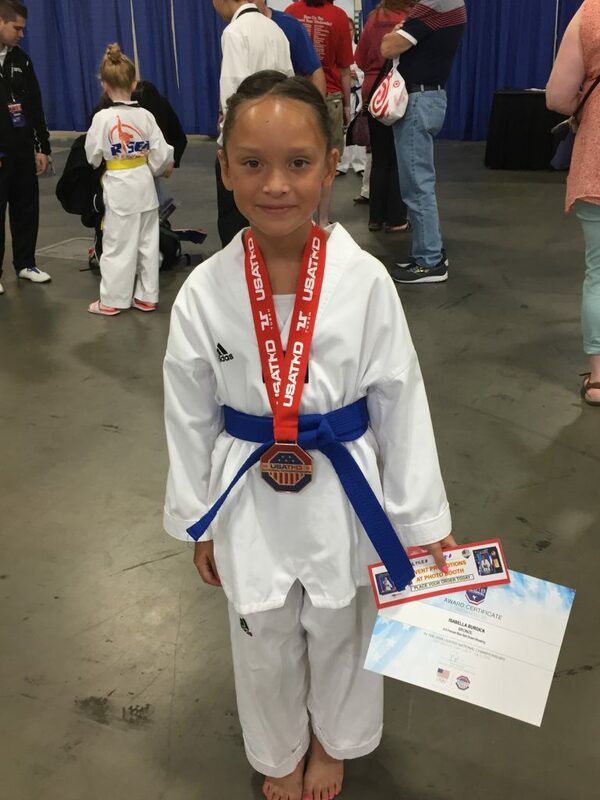 Addison Parrott competed in breaking, forms, and sparring. 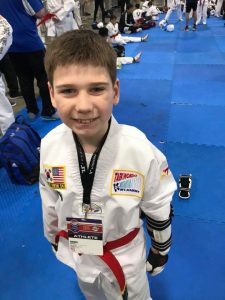 Daniel Kaysch made it to finals in forms! 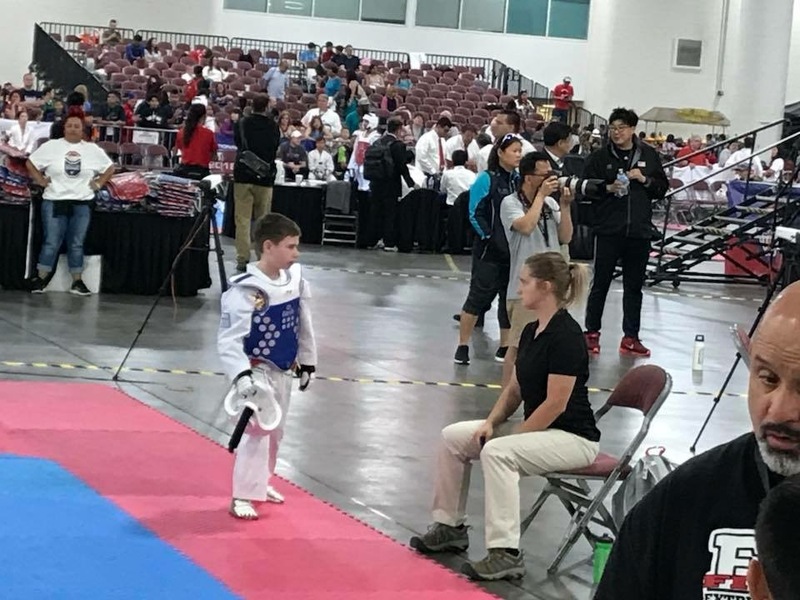 He competed in sparring and lost to the competitor who went on to take gold in his division. Jeffrey Moore defended his title! 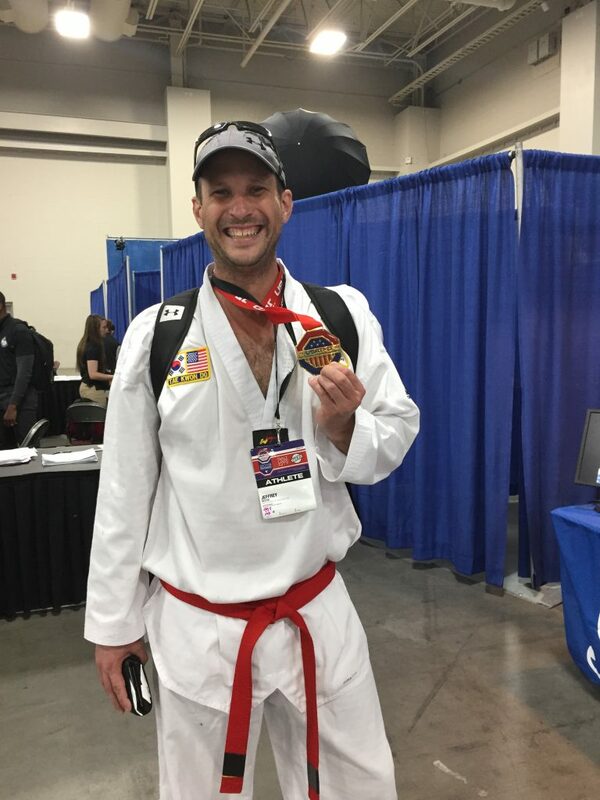 He is the three-time heavyweight national champion in sparring. 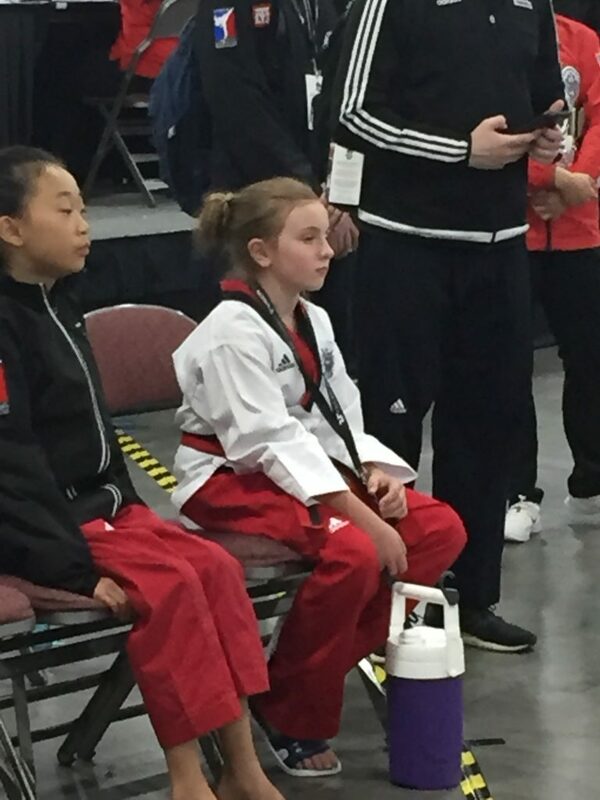 Courtney Weir placed 3rd in breaking, and made it to the finals in forms. Alex Stadler competed in forms. 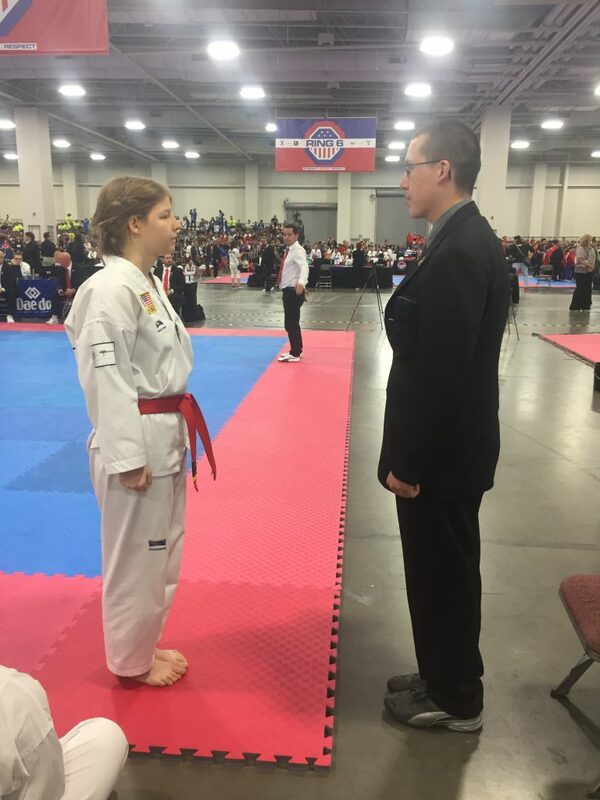 Jacquelyn Locke and Thomas Towne volunteered their time and efforts as Level One coaches. Thank you so much for all your hard work! Dovie Burdick, Keith Kasych, and Rich Weir (not pictured) supported our competitors as board holders.